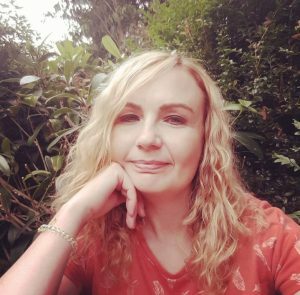 A couple of weeks ago I spoke publicly about the mental health issues I’ve faced over recent years – you can read that blog post here. For many reasons my wine o’clock had got out of hand and in 2016 no one was more shocked than me to find myself sitting in an addiction clinic. The journey I’ve been on since inspired my new novel Forgive Me Not, which is about acceptance, forgiveness and trying to make amends. I’m exceptionally grateful for the treatment and support I’ve had. During the process of recovery I’ve learnt a lot about how to cope with the stresses and strains of modern life, thanks to group therapy, counselling, AA, Buddhism and mindfulness. A large positive is that I’m now learning to deal – it’s still a work in progress – much better with my career as an author. So, fellow writers, here are my top tips for keeping yourself safe from poor mental health. Firstly manage your expectations. Before I got published I used to dream about signing a movie deal and would imagine myself on a red carpet. If you do this you’re setting yourself up for failure. Film rights sell but the movie you fantasise about rarely comes to fruition. So don’t start off by coveting the success of the biggest bestselling authors. Just finishing a manuscript is a huge achievement, let alone getting it published. Take your career step by step – it’s a cliche but I visualise mine as a ladder. You eventually bag an agent. Or a publisher. Perhaps both. Your first book is out. Then your second. Then another. Perhaps one or more of your books appear in foreign languages or audio format. You gain a bestseller flag on Amazon. Maybe you win an award. But none of this is going to happen at once. It’s a long road to writerly success punctuated with disappointments – they are part of the journey. Never forget to appreciate the small things. A positive rejection letter. A good review. A lovely book cover. That was one of my problems before – I was always chasing the bigger picture. I work hard at not doing that now and feel much happier and fulfilled. Secondly – realise your work is not you. What I mean by this is… if you get a bad review, never forget that is someone’s opinion of your writing, NOT YOU AS A PERSON. If one of my books sank in the charts, for example, I used to tell myself I had failed. And that led me to seek unhelpful coping mechanisms to make myself feel better, such as drinking or eating junk food. Nowadays I distance myself and whilst my writing is my vocation, my lifeblood, I try to be more clinical and objective about certain aspects. And don’t obsess over reviews or rankings. Limit how often you go into Goodreads or onto Amazon. Thirdly – don’t get carried away with the branding. I used to love promoting my romantic comedies and was a real kittens and cupcakes kind of author. But then, when my mental health became poor, this became tough. I didn’t feel I could talk about the challenges I was facing as they didn’t match that image. An image that was the real me but, as my health failed, didn’t represent the whole. So my advice – some may disagree – is that whilst branding is very important it mustn’t have the final say on how you use social media. Fourthly – one of the gift’s from AA is the mantra “Accept the things you cannot change” In the past I used to stew about the what ifs, and if onlys. What’s the point? Now I’ll simply shrug my shoulders – it’s not always easy – and say to myself “It is what it is”. This is extremely liberating and gets rid of the pent up frustration. This ties into mindfulness – focusing on the present. Had a bad review yesterday? No matter. It’s been and gone. Worried about next week’s book signing? No point. It will be what it will be. Getting anxious and projecting into the future won’t change that. You haven’t got a crystal ball. Don’t fool yourself that you have. Lastly and on personal note as someone recovering from alcoholism and eating disorders, keep an eye on your drinking and food habits. Alcohol is a big part of the publishing industry. Wine o’clock. Prosecco parties. Boozy book launches. Drinking in moderation, in a social setting is one thing – but drinking to change the way you feel is quite another. If that’s what you are doing you need to see this as a warning sign. I used to drink to further boost the great feeling of a good ranking. Or to make myself feel chirpier after a poor review. Slowly, insidiously this escalated and before I knew it I could find any excuse. If you do anything – drinking, eating, shopping, gambling – to give yourself a boost, to take the edge off a disappointment, to relax yourself after a busy day, then you are doing it to change the way you feel and need to step back before it becomes addictive and out of control. Find different, healthier coping mechanisms. Go for a walk. Meet a friend for a chat. Have a candle-lit bath. Learn to meditate. I love my career and feel blessed to have had so many novels published, to have had bestellers. My writing hasn’t been to blame for my problems. Nothing – no one – is to blame but myself and the way I’ve dealt with challenges. But do yourself a favour and bear these tips in mind. Being an author is a wonderful thing if you have the right tools to deal with the rollercoaster ride. This entry was tagged AA, addiction, alcoholism, Amazon, buddhism, drinking, eating disorders, Forgive Me Not, Goodreads, mental health, mindfulness, publishing. Thank you Sam. Some great advice from someone I hugely respect. This is great advice. Thanks for posting it, Sam. Thank you for these wise words Sam…. Great advice and I’m sorry it came at a cost to your health but how wonderful to pass it on Samantha. A great reminder of how to keep stress in check – not just for writers. So glad you received help, Sam. Off to share such a useful post.